Human Resource practitioners are entering a new era in business strategy. Today’s workplace is much different than just a decade ago. The inclusion of technology to make human tasks more efficient along with new attitudes about work coming from a younger, more tech-savvy generation of employees is transforming many companies. Employees want to be in control of their careers and they have a lot to say about how employers can improve things. Employee engagement technology is vital to monitoring and measuring these aspects. How prepared are most human resource professionals to make best use of this technology? As organizations shift from employer-centric to employee-centric, human resources technology is expected to evolve to address the needs of employees. Let’s face it – employees have the advantage currently, due to candidate skill shortages and difficulties with keeping them happy. This means HR will have little choice but to embrace technology and use it on a regular basis. All of this can be somewhat intimidating to think about, especially for those who do not consider themselves to be tech knowledgeable. Maybe this is because HR tends to see anything new as ‘one more thing to be stuck doing’. It’s honestly a negative way of seeing things. For years, HR has resisted the adoption of new technology, until more recently. This is your chance to examine how technology can benefit your organization and employees. Why not look a little closer? It could be that the new HR technology your business is about to invest in has some outstanding attributes that will make your life in HR a lot easier. How can HR keep an eye on employee engagement, while overcoming being technically challenged? Nothing could be further from the truth. While there is a brief learning curve in the first time or two it’s used, HR software is pretty intuitive and built with HR needs in mind. Always-on employee engagement software is actually very hands off, with much of the input coming from employees. HR merely runs reports and responds as needed to concerns. Relax. The concept of always-on refers to the way that the software monitors and seeks out new data on employee engagement levels — a very helpful feature when the organization is undergoing change. You can access this information anytime, so it’s not necessary to be at your desk constantly. This is a common fear connected to the use of new technology. However, technology is designed to help professionals work smarter and more efficiently. It’s impossible to replace the skills that HR has with any technology. So to harness technology, even if you believe that you are technically challenged, comes down to a willingness to try something new. Sure, you could keep trying to manage employee engagement the way you have in the past, but isn’t this a lot of extra work for you (when you could be doing something else)? Always-on employee engagement software practically runs itself. It can be customized for any organization to run in the background. All HR has to do is run a quick report every so often and see how things are going. That is a real time-saver and hardly takes much technical knowledge at all. The data-rich, visually interesting reports can make your HR department look like it spent weeks designing them. This can impress decision makers. The best part is you don’t have to know coding to accomplish this. 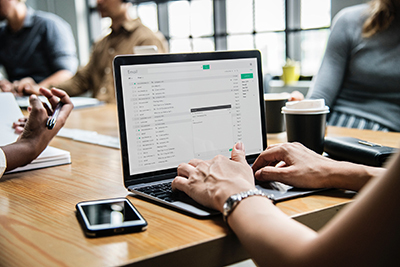 The built-in communication features allow you and your employees to focus on improving things through confidential dialogue, which is as simple as using an email program. No technical knowledge really needed there either. Imagine not having to worry that employees are venting on those big company review websites, but instead communicating with your HR team? That alone can help improve many aspects of your business, from engagement and retention to recruitment efforts. Put away your notions about HR technology and find out how it can greatly improve your work and the impact that HR has in the workplace. Thymometrics‘ intuitive employee feedback technology is designed for technology skillsets of all levels, from novices to experts. Through real time, always-on surveys and feedback solutions, we provide revolutionary yet simple tools to empower employees whilst providing managers with deep and useable insights to improve business culture, staff well-being, productivity and profitability.